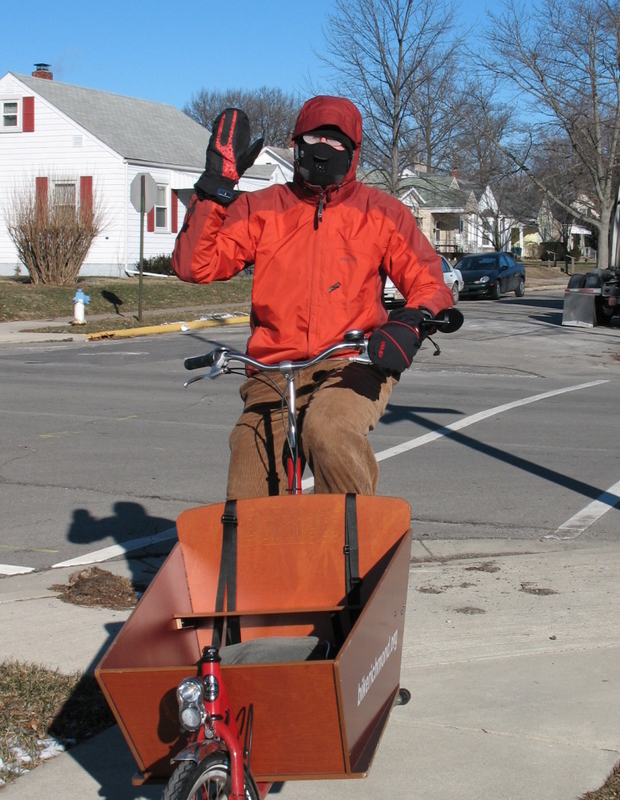 Biking to church at 0 degrees Farenheit. I overheated slightly on the top…I should have worn only three layers there instead of four. Otherwise I was fairly comfortable for the 15 minute ride. I had preheated my hands a little by rubbing them with a little cayenne before I put them in my gloves, and then put the gloves inside these mittens. At least my bike didn’t break like the time I rode last year at 0F.